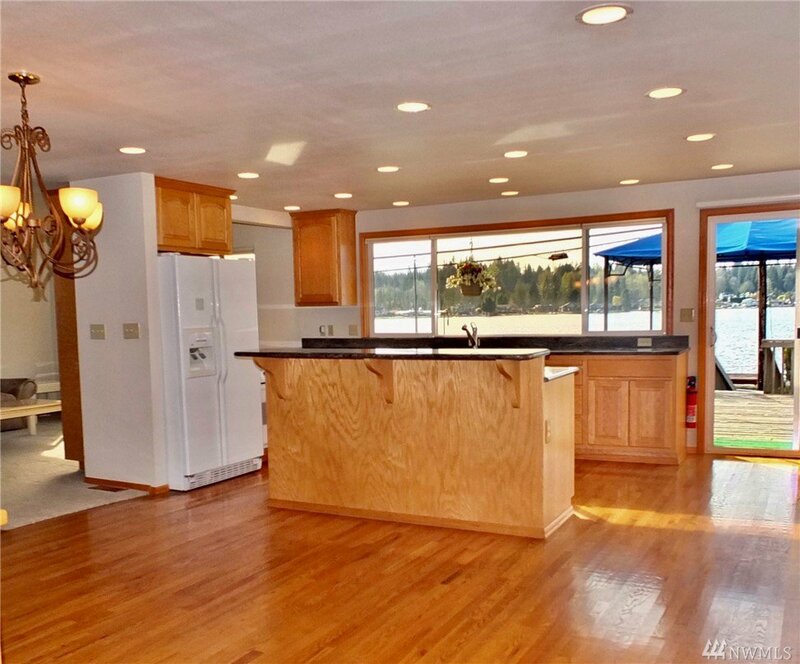 CHANCE OF A LIFETIME awaits you in classic lakefront rambler! 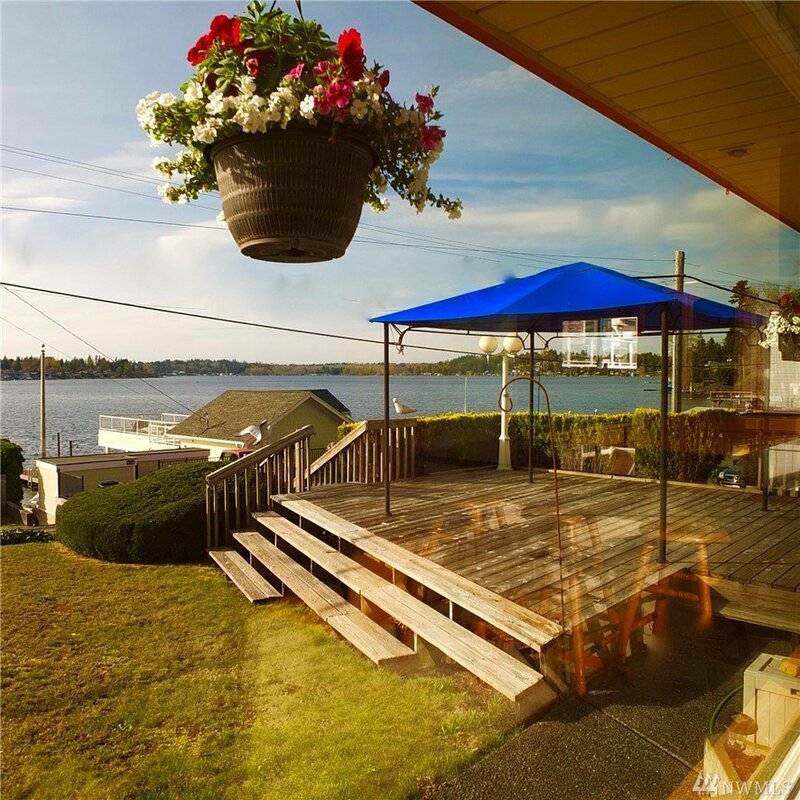 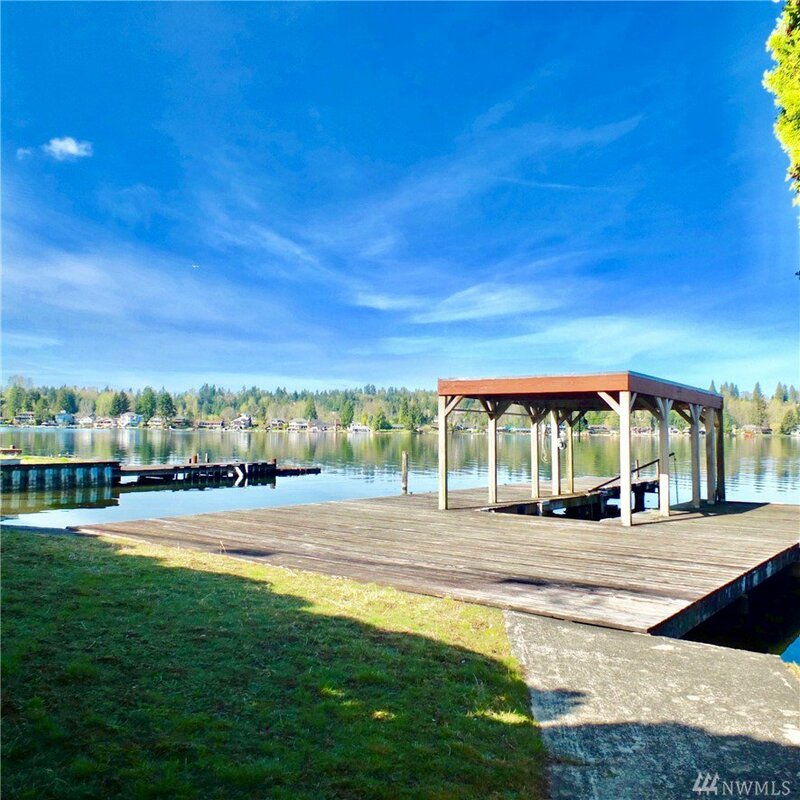 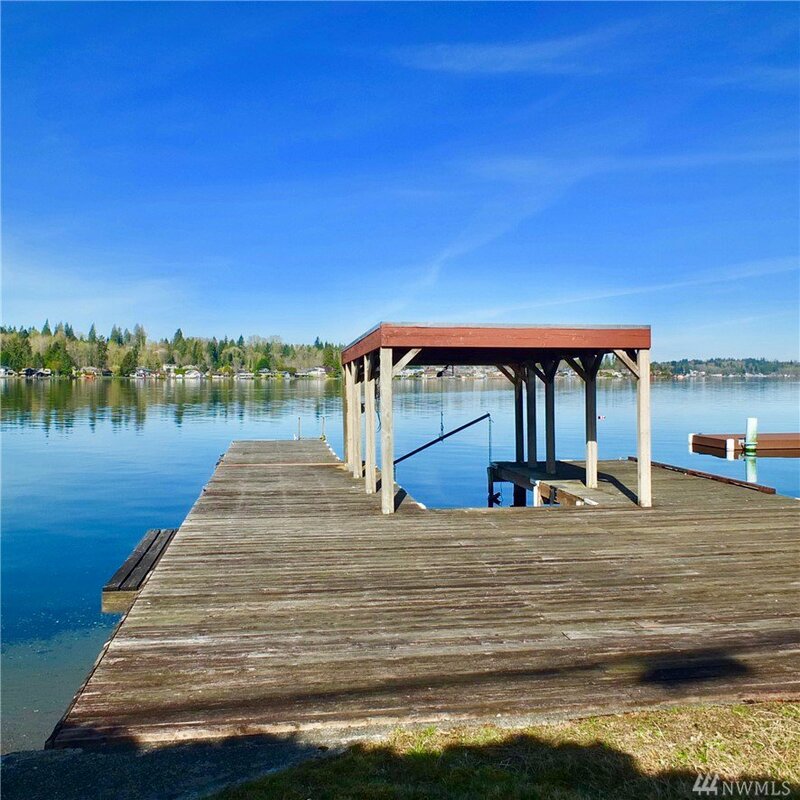 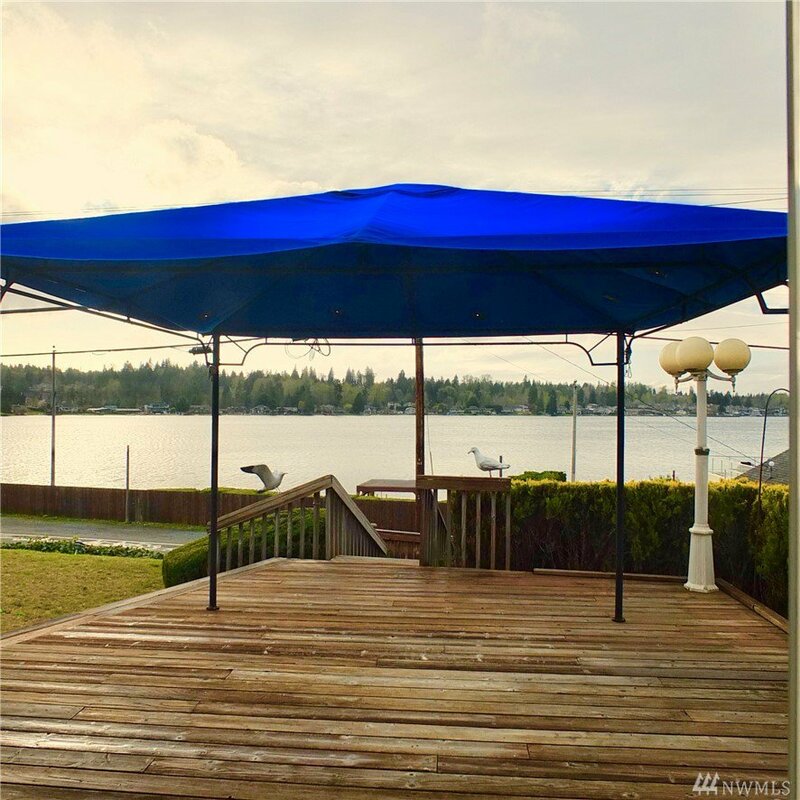 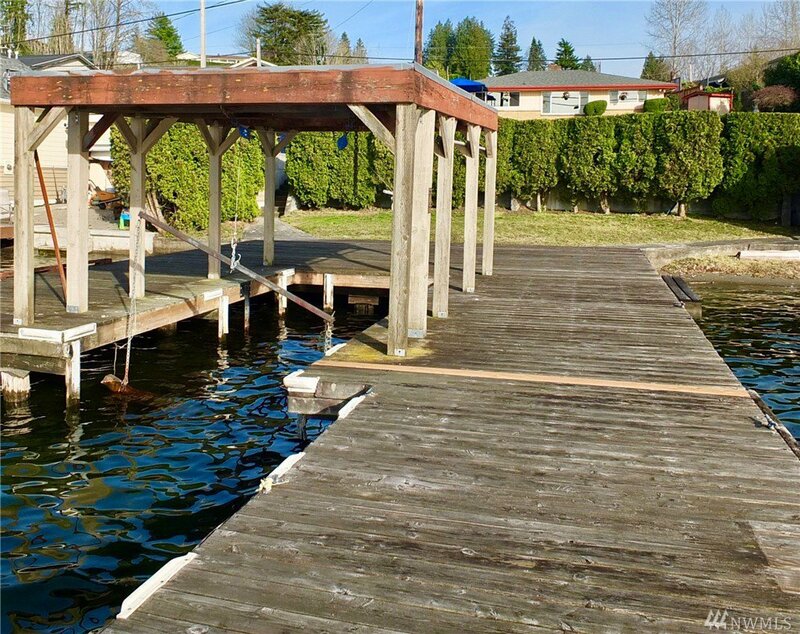 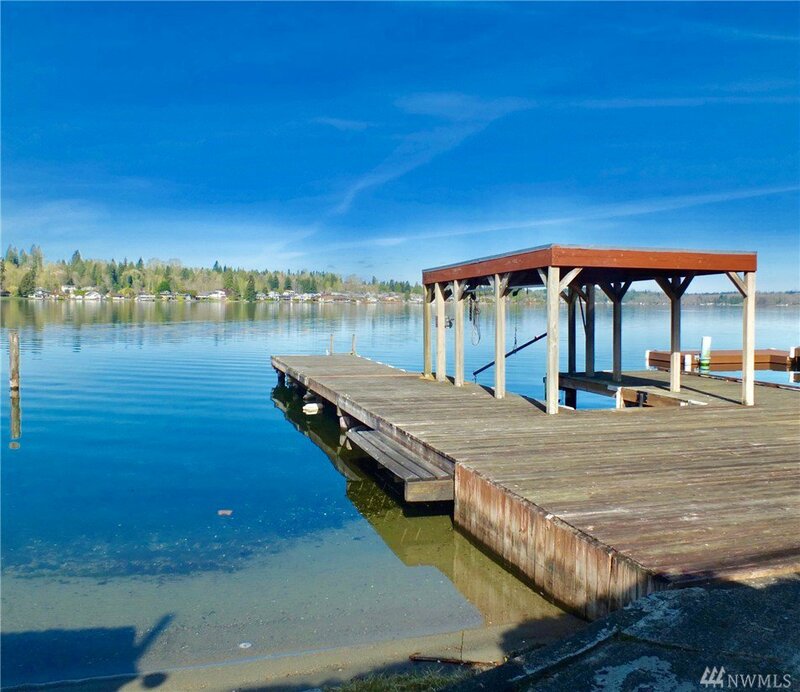 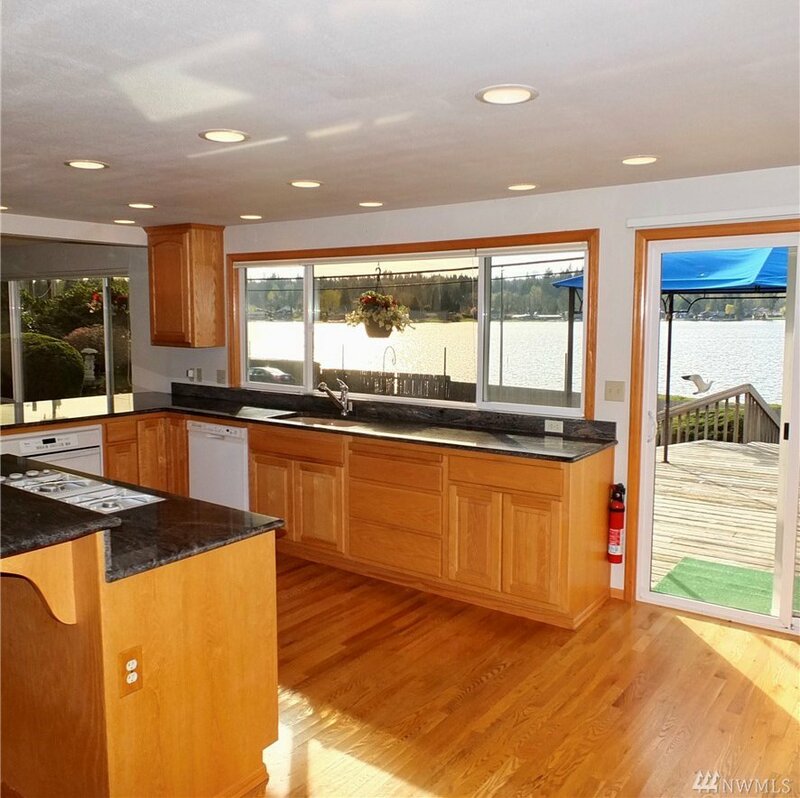 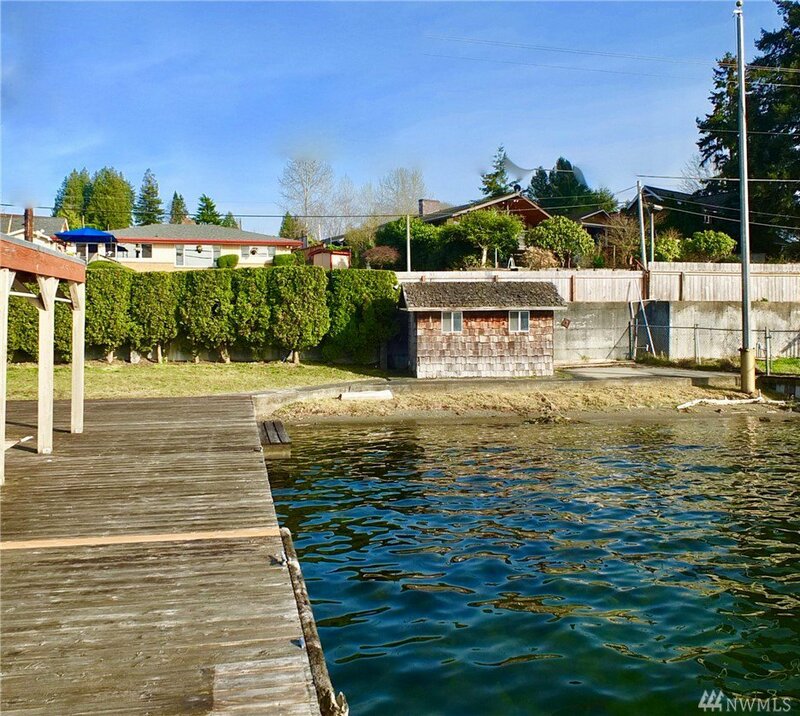 Cherish 91’ of PRIVATE SANDY BEACH & wrap-around dock w/covered boat slip on SUNNY East side of lake.NEW granite counters+custom oak cabinetry REMODELS frame chef-size kitchen w/center island & PANORAMIC VIEWS! 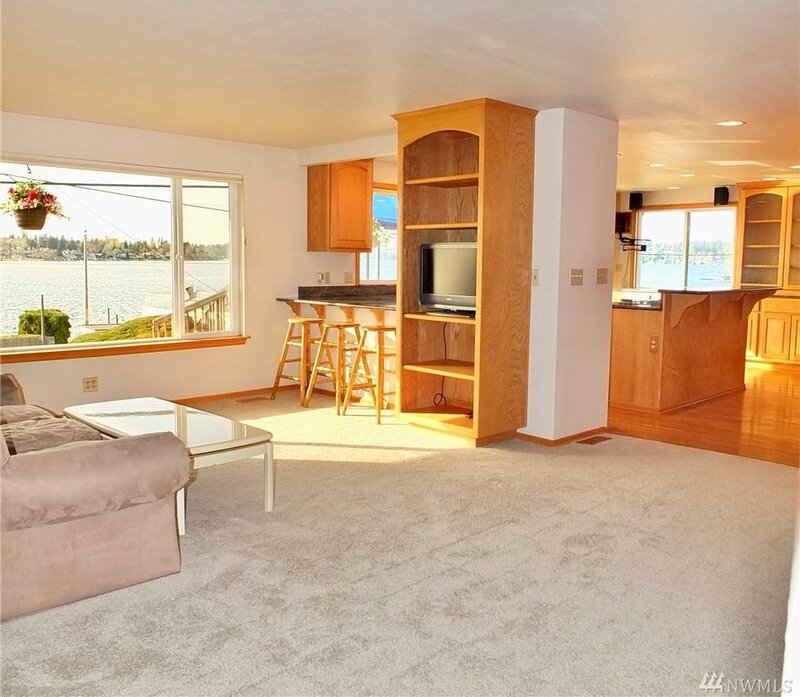 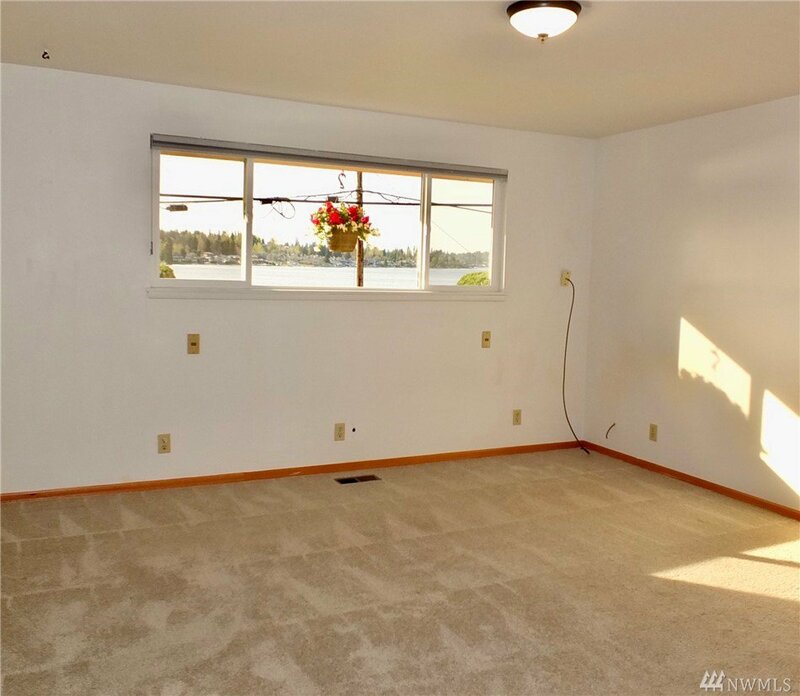 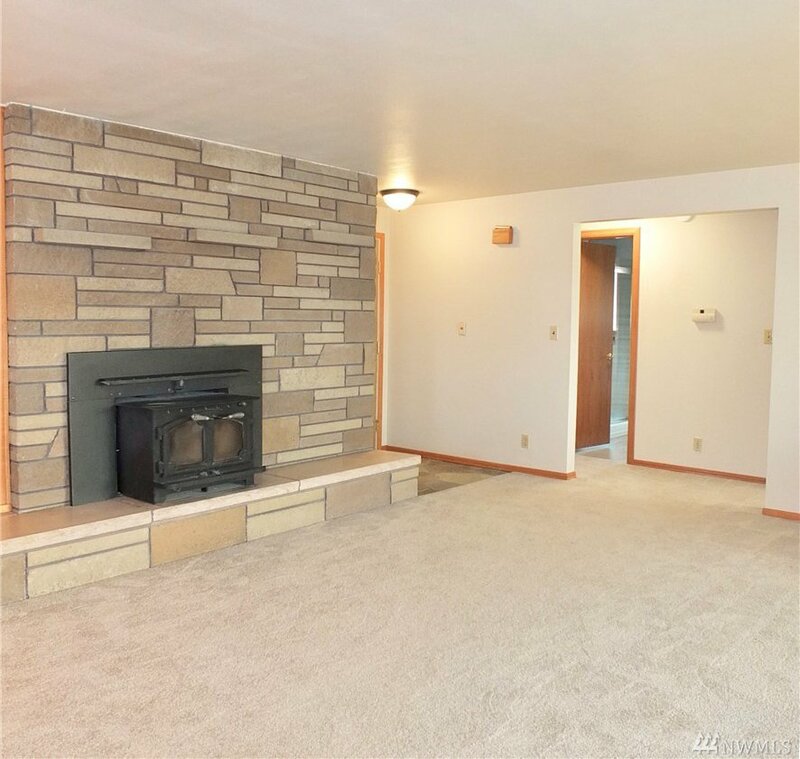 Main living w/fireplace+lake views. 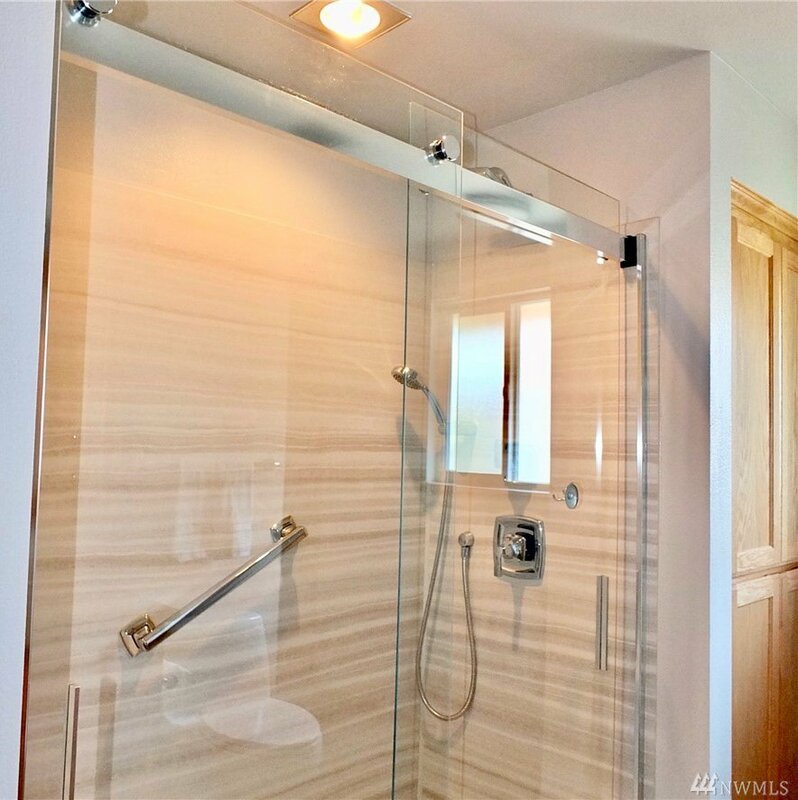 Mstr bdrm w/gorgeous NEW SHOWER. 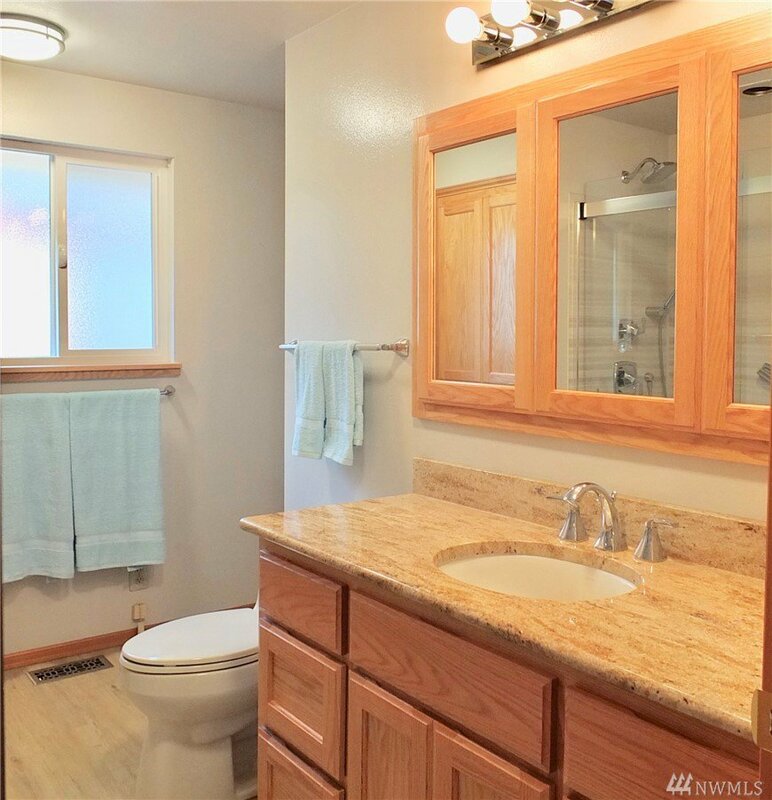 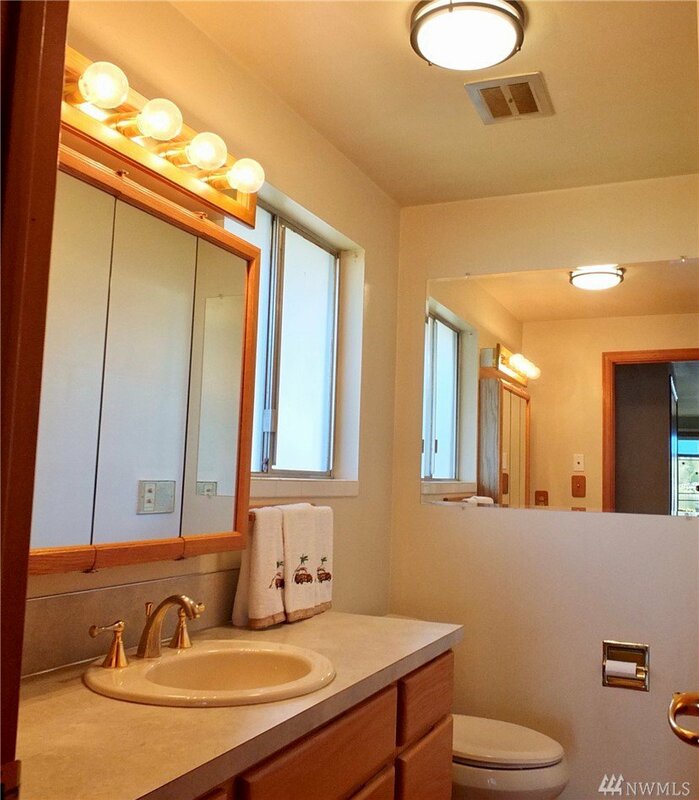 Bathrooms offer new counters! 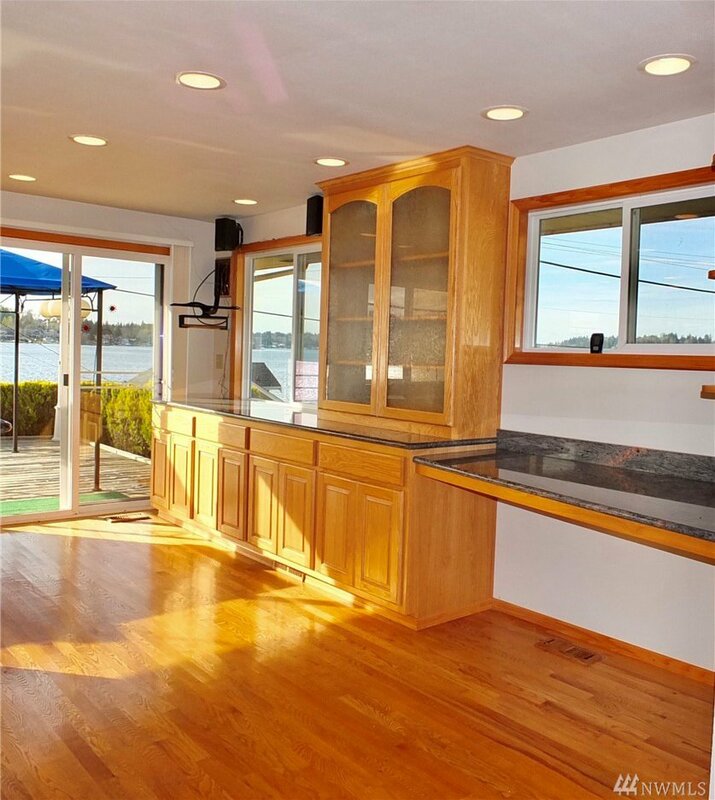 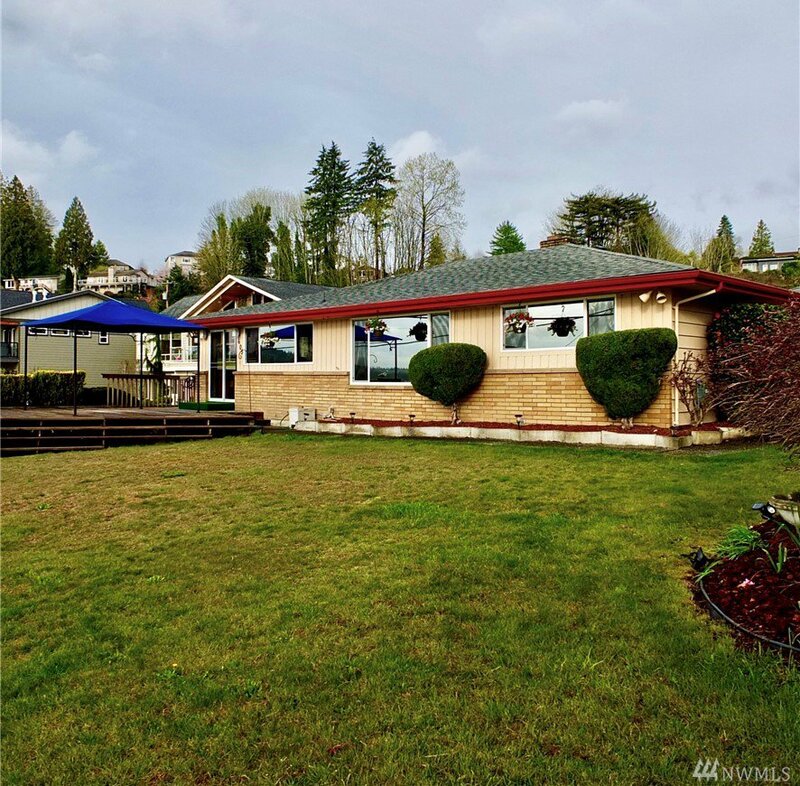 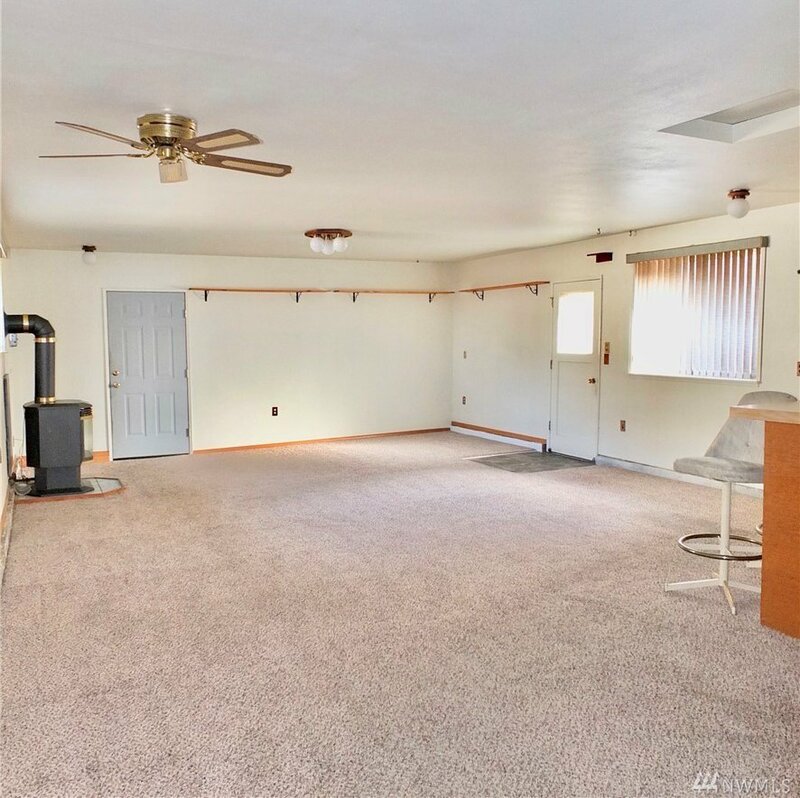 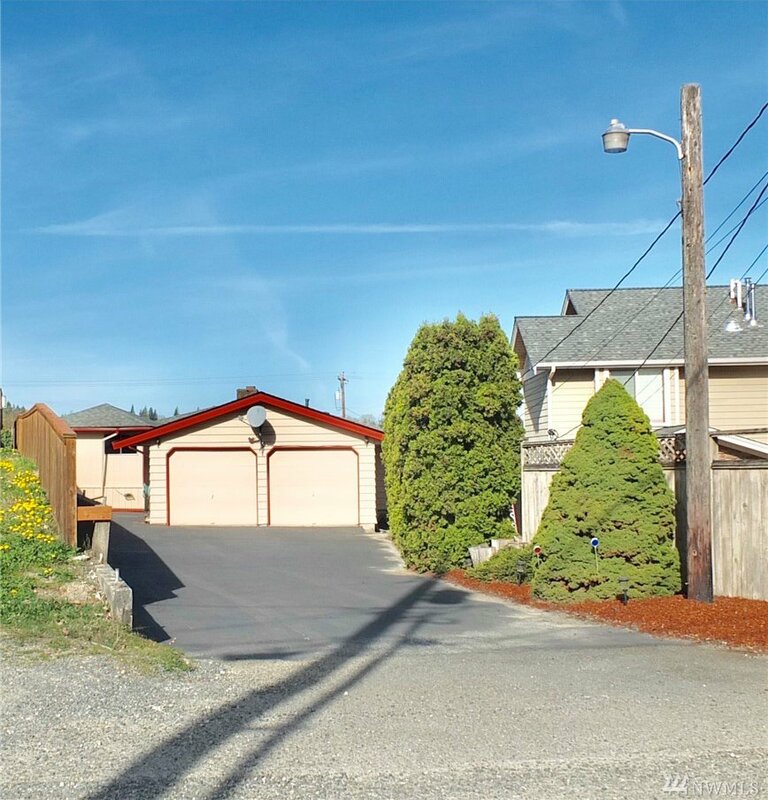 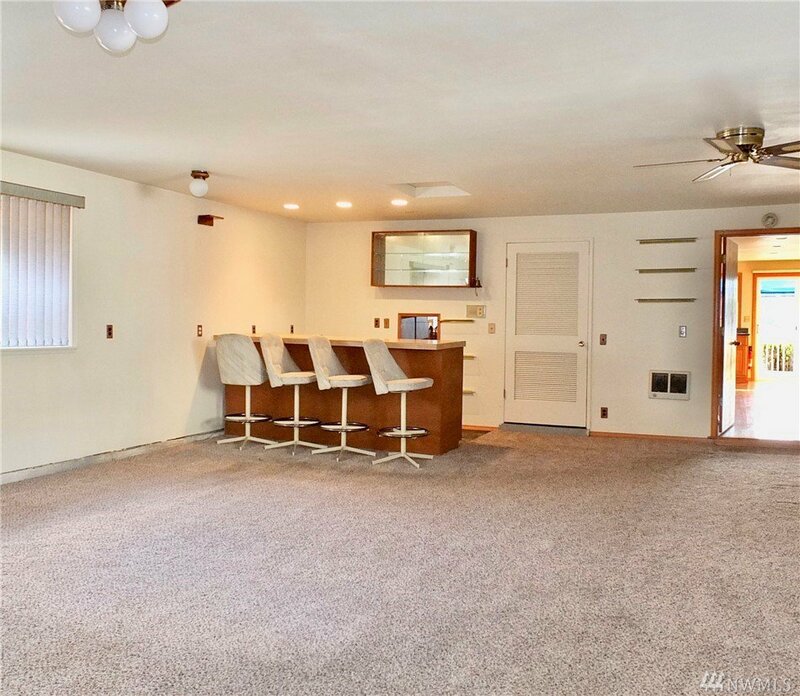 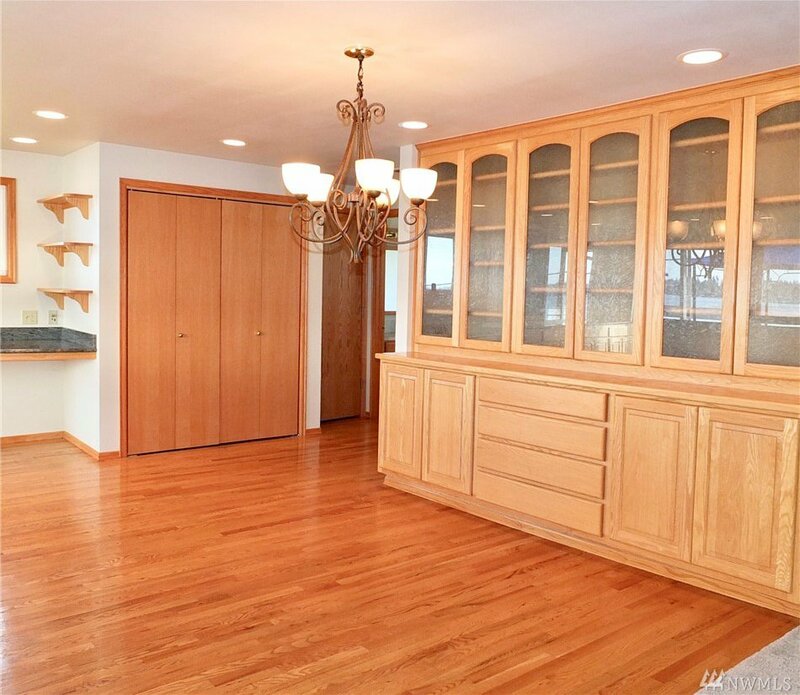 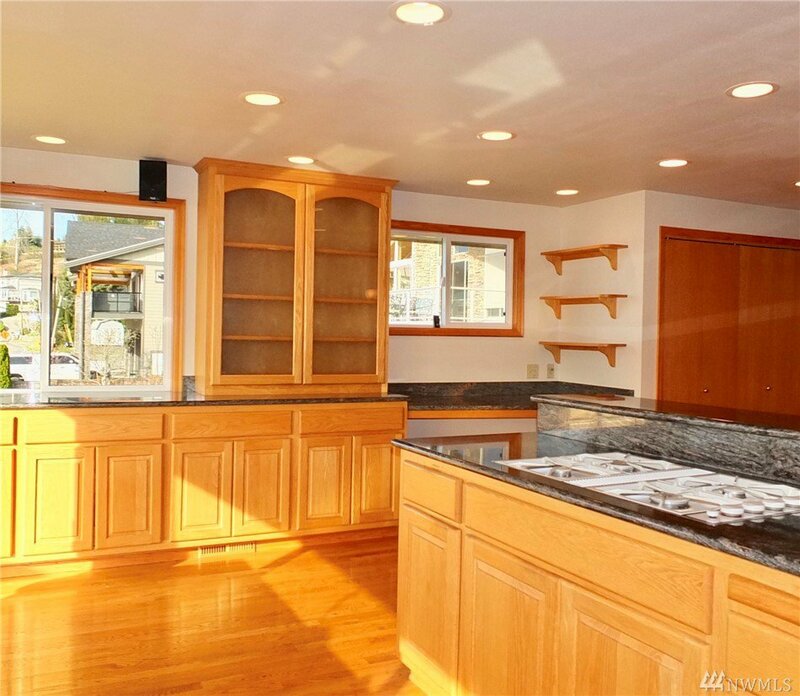 440 sq’ BONUS/rec room w/GAS fireplace & mini kitch/bar.2 CAR garage+room 4 RV/Toys.XL DECK+Yard+Shed+ORIG beachside surf shack!